Notify on-call response teams when critical incidents are reported. 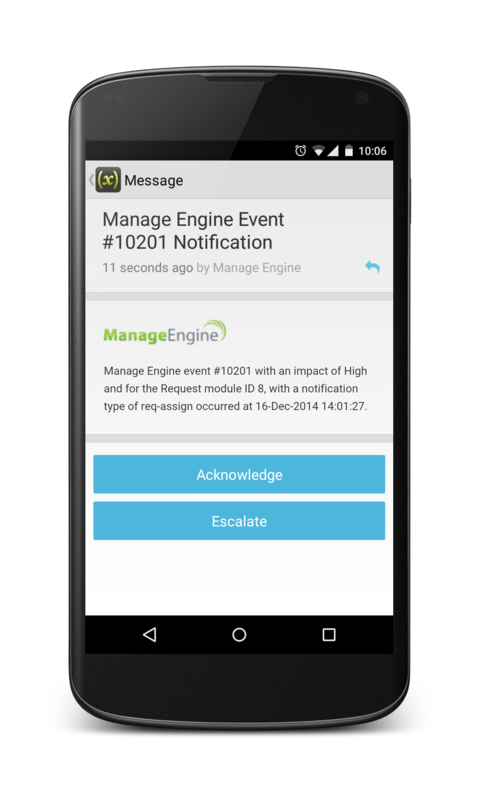 With the ManageEngine integration, on-call members of resolver teams can take direct action on incident tickets in real time from any mobile device. Information about the incident or change request is presented to recipients via multiple communication channels. 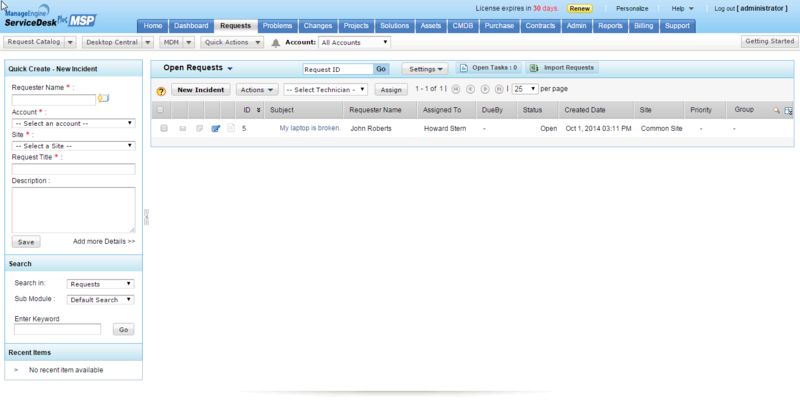 Multi-channel notifications extend ManageEngine's notification capabilities beyond email. Self-service and managed subscriptions allow business stake holders to be informed of incidents affecting key applications or services. xMatters design tools allow specific message content to be tailored to different device types.